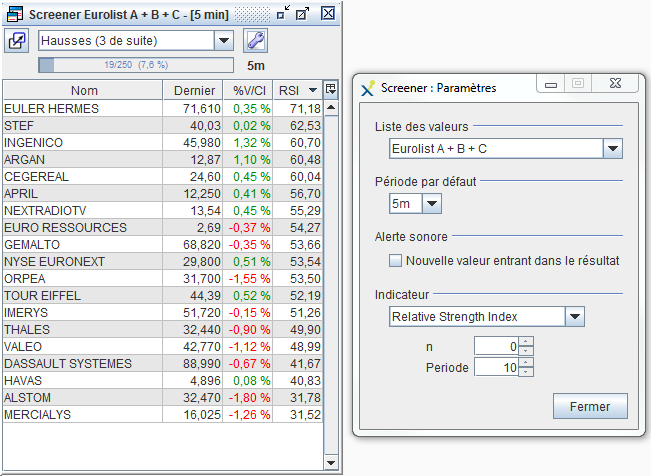 Two Watch Lists, each with a maximum of 1500 stocks (equities, futures, indices, Forex, ...) with auto-sorting capability on the chosen column. A real-time Market Screener with a maximum of 1500 stocks, to detect every seconds thoses stocks meeting the user's selection criteria. Two real-time Winner/Loser Rankers, each with a maximum of 1500 stocks. The Winner/Loser Ranker classifies every seconds the listed stocks according to their price variations over a selected period of times in minutes, hours, days, weeks or months. The number of workspaces has no limit, each saved under a chosen name and easily recalled. Real-time data are sent on Internet in streaming ("push") at the precise time trades are executed by the stock exchanges ("tick by tick") or when the order book is updated. According to real-time subscriptions, the stream delivers relevant data for equities, indices, ETF's, Futures, Options, Warrants, Commodities and FOREX. There is no limit to the number of Trade Order Books opened simultaneously. Technical indicators are the basis of technical analysis, they show and highlight the past and foreseeable market trends. Axial Finance offers a wide range of customizable indicators (more than 100) that can be very easily added into graphical charts, either in the upper part of the chart (together with the price curve) or just below. In the lower part of the chart, up to 5 indicators called "secondary indicators" can be displayed simultaneously from a wide selection. A device called slideshow allows to move vertically these indicators in a mouse clic. 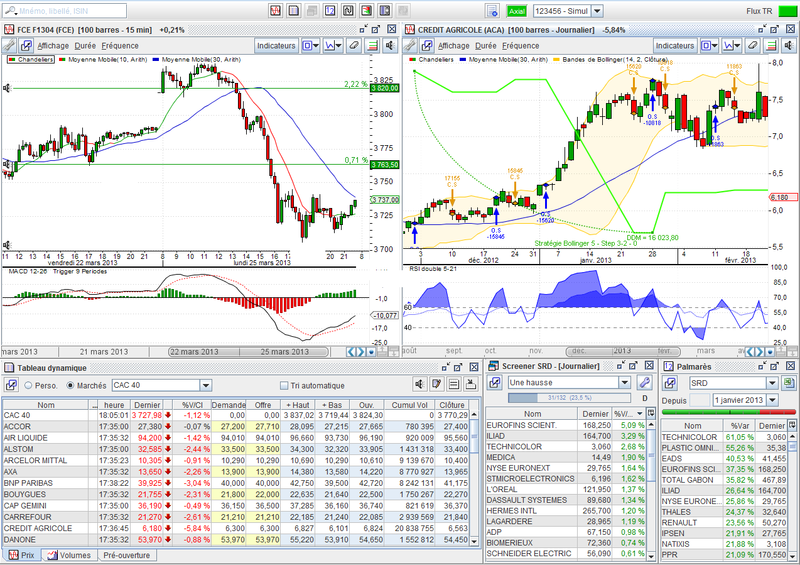 For each indicator the style is customizable : color, thickness, dotted line and curve shape. In addition, for some indicators like the Moving Average, the drawing can be done with two colors, green or red depending if the curve is going up or down. 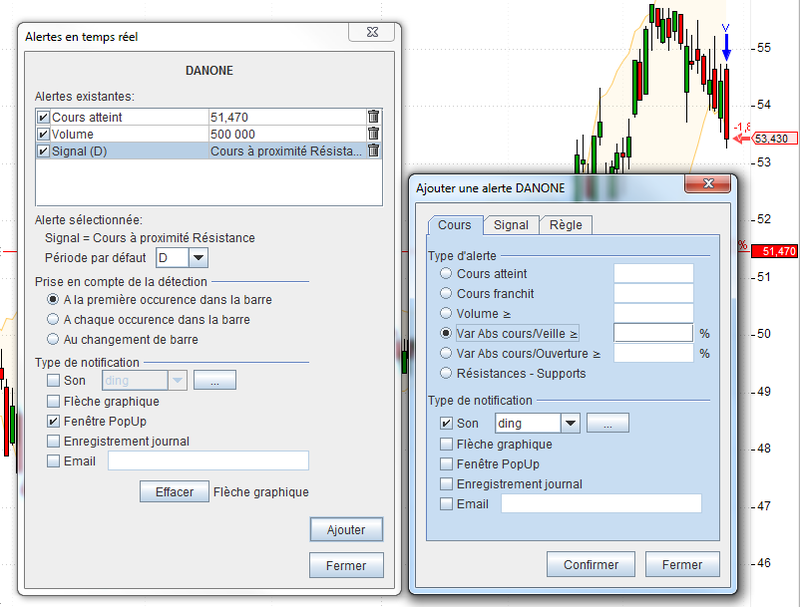 The real-time Screener is very useful to automatically and immediately detect stocks that meet user's decision criteria. From a list of hundreds of stocks Axial Finance detects evey second and displays in a table those who meet user's criterion for decision. 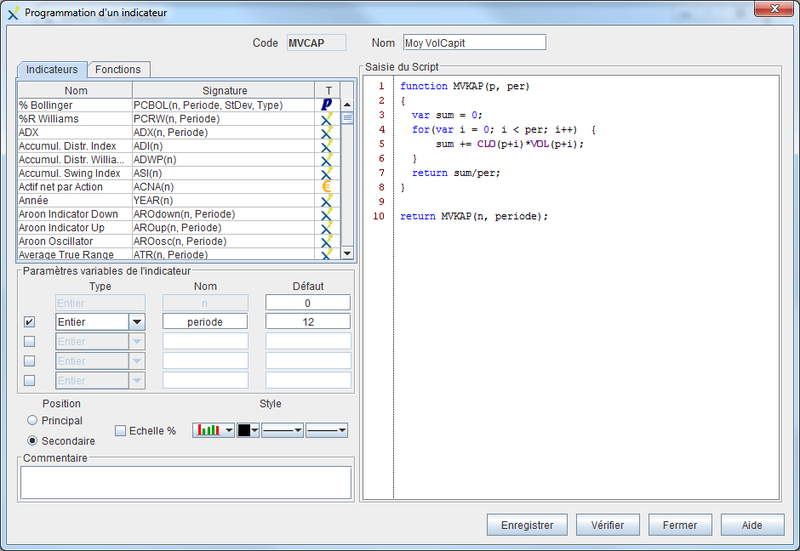 The decision criterion called Screening Rule is defined by an easy logical assembly of basic signals included in the software library, then without needing any writing of programming code. Each signal is evaluated at a defined frequency bar (n minutes, hours, days, weeks or month). The result of screening may also be sorted according to the value of a technical indicator calculated in real time, thus adding an addtional criterion for research. 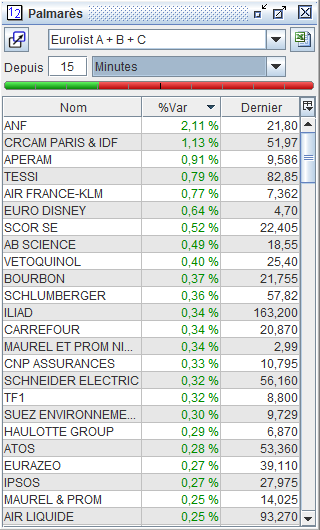 The Winner/Loser Ranker sorts every second a list which can contain hundreds of stocks, according to the change of price during a programmable period of time : since last day close, since day opening or over a period either in number of minutes, hours, days, weeks or months. The Winner/Loser Ranker provides a clear indication of the market trend and immediately identifies those stocks with significant price variations over the analyzed period of time. A Buying/Selling pressure gauge gives the percentage of stocks going up or down. Axial Finance allows to set up real-time Alerts on an unlimited number of stocks. For each stocks several types of alerts based on prices, volumes, technical indicators, signals or support/resistance levels can be selected simultaneously. Each alert can have its individual way of user's notification. Reaching or crossing a given price, crossing down a support level, crossing up a resistance level, exceeding a volume value or a price variation percentage. Meeting conditions specified by Signals or Screening Rules belonging to the software library. 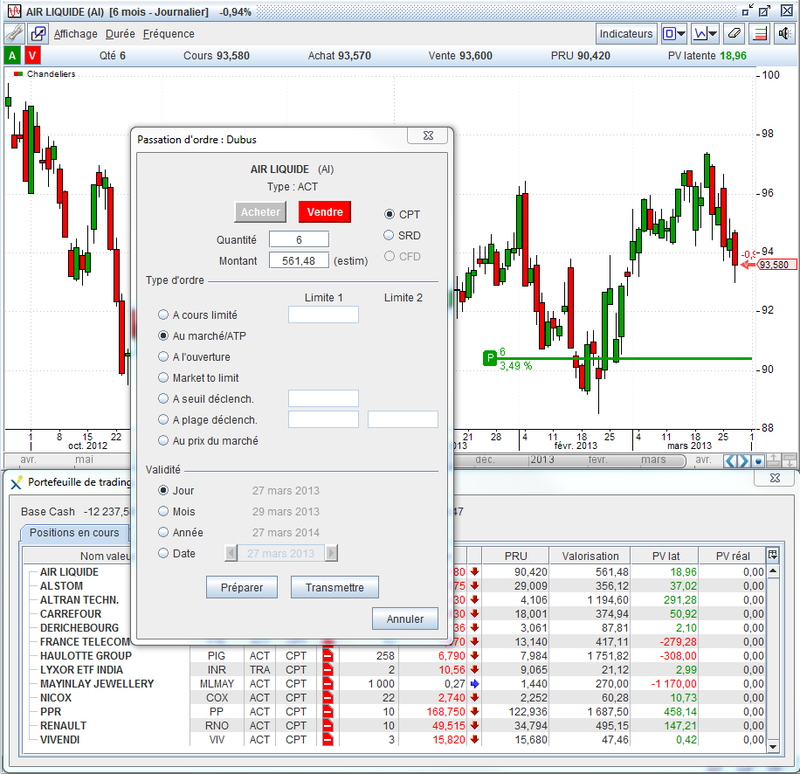 For each alert, a specific mode of user's notification can be choosen among audio signals, pop-up window, marker on the Live Chart when displayed for the relevant stock, email or recording in the alert book. A global summary board displays all stocks with the relevant set up detailed alerts. From this board the user can easily modify an alert, eventually disable it temporarily or permanently delete it. The brokers Lynx and Interactive Brokers are directly connected with Axial Finance Expert to transmit orders and monitor portfolios in real-time. 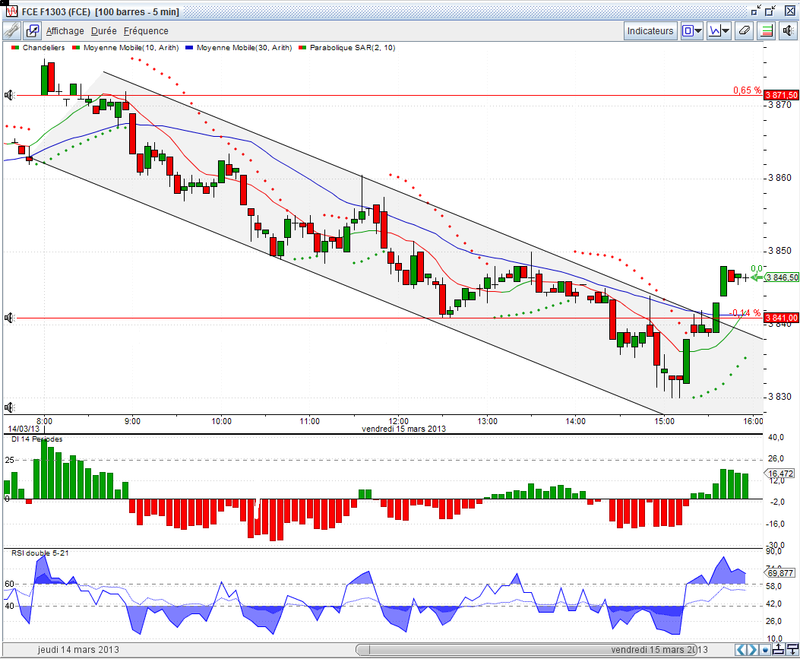 Each Live Chart has a Trading Area allowing to transmit orders and to follow the position in real-time. 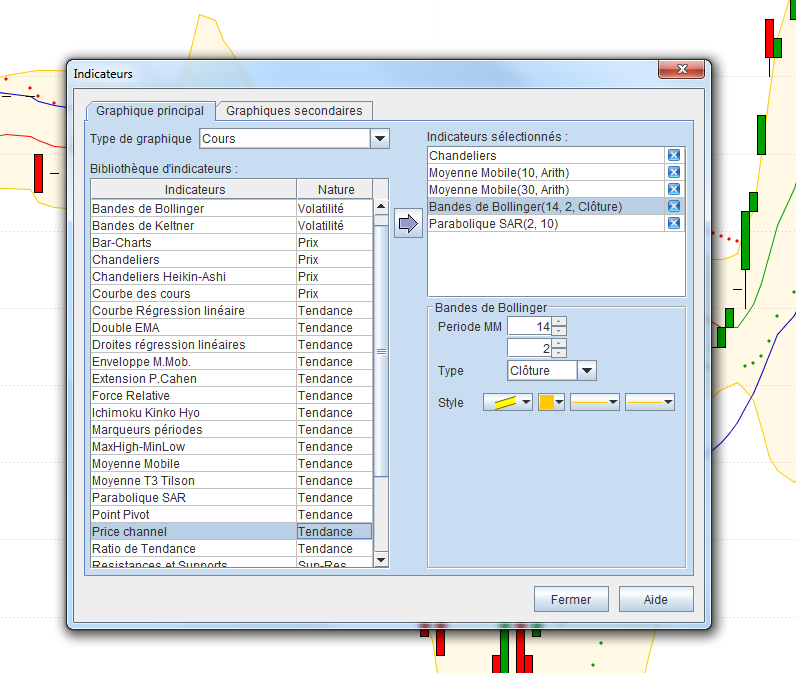 When a trading order is prepared (not yet sent to the broker), actually transmitted to the broker and then executed, the status of the position is drawn on the Live Chart with a color code and relevant data. The Trading Portfolio displays orders with their current status and open positions updated in real-time. 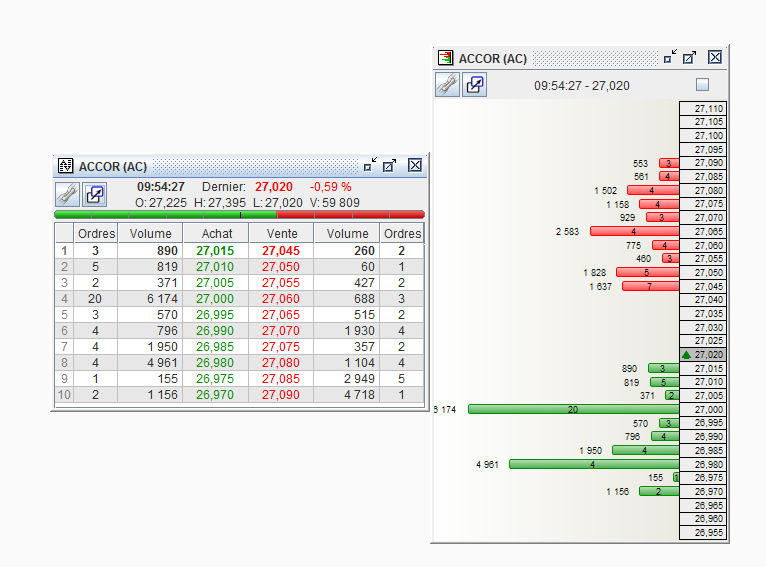 This portfolio also stores and displays trading orders prepared in anticipation of a transmission to the broker. Limit and Stop trading orders can also be sent directly from the Trade Order Books by just clicking on the desired level of price to fix the limit or stop level. Searching for the best strategies is the first objective of any stock investor. It is fundamental to be able to verify the relevance of the buying and selling decision rules over the historical quotes to identify favorable and unfavorable market factors and then confirm such rules. The so-called Back Testing function gives to the user an easy to use tool to achieve this goal. Each idea for a strategy can be evaluated precisely by identifying opening and closing positions, gains and risk ("Drawdown") incurred at any time. Live Charts allow a trader to step through the trading day bar by bar or through day bars over months and years to assess strategies and adjust accordingly. 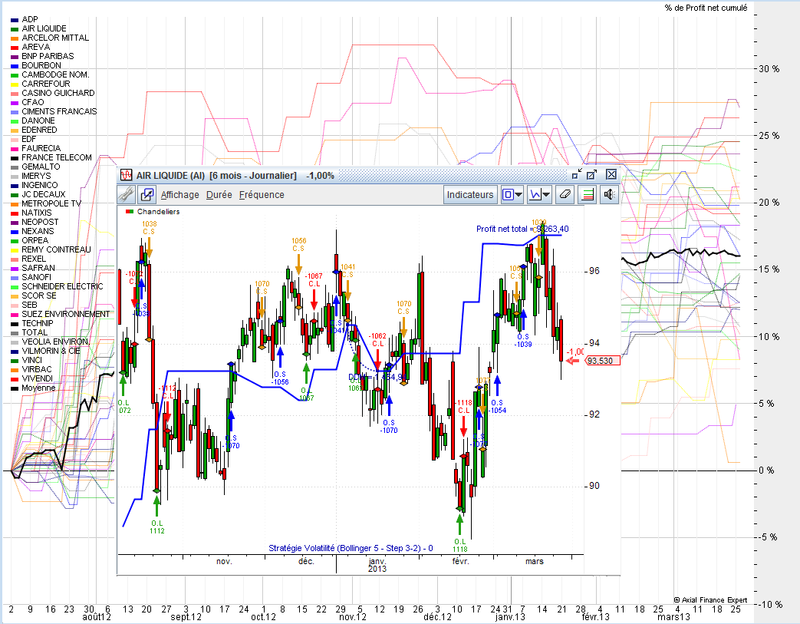 Axial Finance has an extensive library of technical indicators and signals among the most known. The programming manual can be downloaded here.